SCVHistory.com LW2921 | Magic Mountain | Sleepy Petting-Zoo Goats on the Lam, 1974. 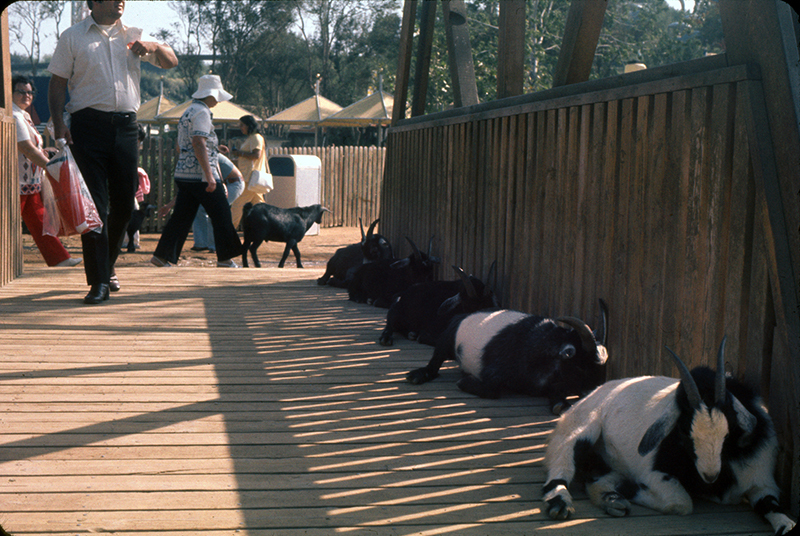 Goats from the petting zoo find some shade on a wooden pedestrian bridge at Magic Mountain, 1974. 2x2-inch transparency (color slide film). LW2921: 9600 dpi jpeg from original transparency purchased 2017 by Leon Worden.